Whether you realize it or not, we use our eyes almost as much as our mouths when we eat. From scanning photos on the menu, to admiring a tantalizing cut of meat, our eyes play a big part of the dining experience. Why do you think all of those cooking shows are so obsessed with plate presentation? As a restaurant owner, the quality of your food is the most important thing you worry about. However, the only people seeing your food are the customers already dining in your restaurant. What about all the people who haven’t been to your restaurant before? They have no idea how appetizing your food looks. Maybe they've considered dining at your restaurant, but never pulled the trigger. This is exactly why your restaurant should use Instagram. If you’ve been too busy to keep up, Instagram is a social network that allows users to share, like and comment on photos. In other words, it provides the ideal platform to share the delicious dishes coming out of your kitchen. An active Instagram channel will help you grow your brand and spread awareness about your restaurant. All you need to do is point, shoot and share. Your customers are using Instagram. Instagram offers access to potential customers. According to Kurt Wagner of Re/Code, Instagram was the fastest growing social network last year. It now has over 300 million active users (and this number is rapidly growing). Over half of young adults (ages 18-29) are now on Instagram, while 26 percent of adults use the app. So, whether you’re a local pizza shop that attracts college students, or a fine dining restaurant geared toward working adults, there is an Instagram audience for you. Having a well curated feed of photos, gives your audience a chance to visualize the dining experience. This could ultimately be the reason why someone decides to try your restaurant for themselves. Plus, food pics tend to make a person hungry which is an added bonus. Instagram also offers you the chance to engage with your customers. For example, if a customer is scrolling through your Instagram feed and has a question about a menu item you posted, they can leave a comment on the photo and you can quickly respond. Instagram helps you be unique. There are plenty of reasons that make your restaurant different from the competition. 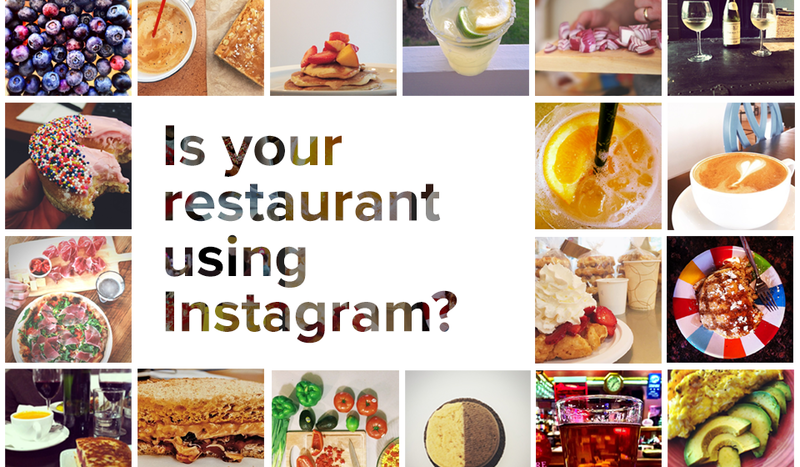 With Instagram, you can show off the reasons why your restaurant is unique. These reasons are the benefits of dining at your restaurant. Take a photo of your rotating local drafts, your award winning meatballs or your farm fresh ingredients. Whatever it is, take pride in your uniqueness and constantly remind your audience of it. You can also use Instagram to quickly update your audience. 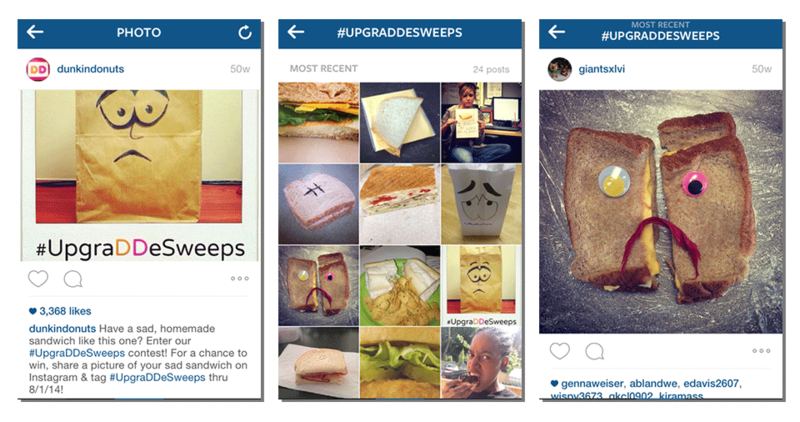 Customers are checking their Instagram feeds more often than your restaurant’s website. Use Instagram to promote your latest special, show off a seasonal item, or tell them about your happy hour deals. It’s a great way to always keep your customers informed. Instagram increases brand awareness (for free). Luckily for the restaurant industry, “food pics” have become quite popular in the social media world. For some reason, people love to show off where and what they’re eating. As a restaurant owner, this presents a great opportunity. Your customers are sharing photos of your food, for free. They’re also people taking photos in your restaurant. This means they’re tagging your restaurant and its location. This is like having a bunch of 612px x 612px sized billboards. So, thanks to Joe Schmo, all of his followers (potentially hundreds) just saw how delicious your loaded cheese fries look and know where to get them. This crowdsourced marketing occurred without you having to do a thing (aside from making delicious cheese fries). Another way engage with your audience is to create a hashtag specific to your restaurant. This encourages customers who are snapping food pics to use your hashtag in their post. That way, when Instagram users click on the hashtag, they will see a scrolling gallery of all the photos taken in your restaurant. Time to embrace the #hashtag! There are a lot of great ways to use Instagram, but we wanted to give you a few examples of some restaurants that are taking full advantage of Instagram. The first is Taco Bell. Thanks to its well curated feed, it has managed to accumulate over 500k followers. It uses beautiful lifestyle photography to show its food being enjoyed in a way that its target audience (mainly millennials) can connect with. This aligns Taco Bell with the care-free, adventure seeking lifestyle that many young people are attracted to. For a good example of customer engagement, check out Dunkin Donuts’ Instagram (above). The doughnut giant often holds photo competitions for its followers by offering a chance to have a photo re-posted on its official account. Talk about a doughnut lover’s dream. This is a fun way to encourages Dunkin Donuts’ followers to take creative photos. User engagement is extremely important on Instagram and Dunkin Donuts is doing it right. 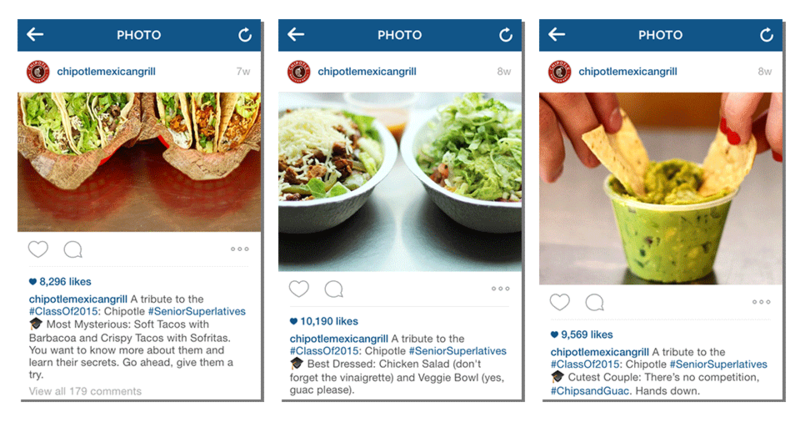 Even though Instagram was designed for photo sharing, Chipotle shows that words can be valuable too. Chipotle’s feed does not display a reel of professional photographs. Instead, Chipotle relies on its witty captions to entertain its followers. While the photos are still important, the creative text accompanying the visual is what sets Chipotle apart. With over 300 million users, it’s pretty safe to say that there are people on Instagram who haven’t been to your restaurant. Don’t let this opportunity pass you by. Once you’re on Instagram, all you have to do is sit back, and let the power of the “food pic” do most of the work for you. Interested in learning more? Check out our blog post, 7 Tips For Marketing Your Restaurant Online. Great blog Tyler. Very informative and well written.